This paper presents the results of wet precipitation chemistry from September 2009 to August 2010 at a high-altitude forest site in the southeastern Tibetan Plateau (TP). The alkaline wet precipitation, with pH ranging from 6.25 to 9.27, was attributed to the neutralization of dust in the atmosphere. Wet deposition levels of major ions and trace elements were generally comparable with other alpine and remote sites around the world. However, the apparently greater contents/fluxes of trace elements (V, Co, Ni, Cu, Zn, and Cd), compared to those in central and southern TP and pristine sites of the world, reflected potential anthropogenic disturbances. The almost equal mole concentrations and perfect linear relationships of Na+ and Cl− suggested significant sea-salts sources, and was confirmed by calculating diverse sources. Crust mineral dust was responsible for a minor fraction of the chemical components (less than 15 %) except Al and Fe, while most species (without Na+, Cl−, Mg2+, Al, and Fe) arose mainly from anthropogenic activities. High values of as-K+ (anthropogenic sources potassium), as-SO4 2−, and as-NO3 − observed in winter and spring demonstrated the great effects of biomass burning and fossil fuel combustion in these seasons, which coincided with haze layer outburst in South Asia. Atmospheric circulation exerted significant influences on the chemical components in wet deposition. Marine air masses mainly originating from the Bay of Bengal provided a large number of sea salts to the chemical composition, while trace elements during summer monsoon seasons were greatly affected by industrial emissions from South Asia. The flux of wet deposition was 1.12 kg N ha−1 year−1 for NH4 +–N and 0.29 kg N ha−1 year−1 for NO3 −–N. The total atmospheric deposition of N was estimated to be 6.41 kg N ha−1 year−1, implying potential impacts on the alpine ecosystem in this region. This research was supported by the National Natural Science Foundation of China (41075089, 40830743, 41271073). The authors appreciate the support of the K.C. Wang Education Foundation, Hong Kong, and the Youth Innovation Promotion Association, CAS. We thank the staff at the SET Station for collecting the samples, and Shi Yanyun and Gao Shaopeng, who performed the chemical analysis. Special thanks to Betsy Armstrong for the English editing. 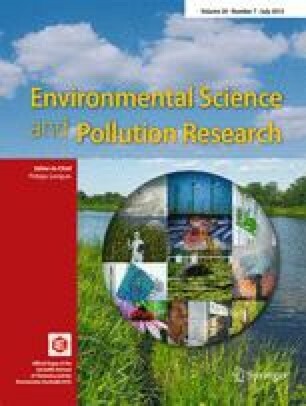 The authors gratefully acknowledge the NOAA Air Resources Laboratory (ARL) for the HYSPLIT transport and dispersion model in this publication.